Minister Naftali Bennett says the Supreme Court is making it harder, not easier, to enlist hareidi men in the army. 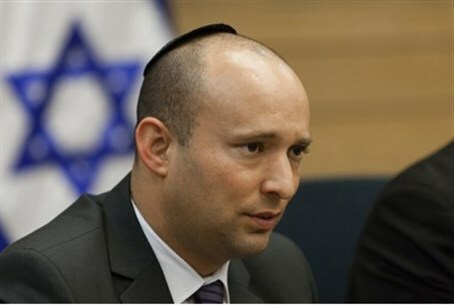 Minister of Economy Naftali Bennett (Jewish Home) expressed frustration Tuesday following a Supreme Court ruling banning state funding for yeshiva students who have not enlisted in the army. The ruling will make it harder, not easier, to enlist hareidi-religious yeshiva students in the IDF, Bennett said. “The Supreme Court ruling, coming at this stage, makes integrating hareidi men harder, precisely because the Shaked Committee is in the final stages of authorizing a law on enlistment,” he explained. The Shaked Committee, or Equal Burden of Service Committee, was tasked with legislating the highly controversial subject of haredi army enlistment in wake of the Supreme Court’s decision to strike down the Tal Law, which previously allowed yeshiva students to defer enlistment. Jewish Home MK Motti Yogev agreed. “The Supreme Court’s unwise intervention in its ruling against funding for some yeshiva students, coming at this particular time, as the legislative branch is in the final stages of creating a law, is a disproportionate blow to yeshiva students,” he argued. Yeshiva students are being unfairly singled out compared to others who do not enlist, such as university students who dodged the draft, Yogev said. In addition, he said, the Supreme Court’s ruling was a blow to the Knesset’s work on legislature. “And primarily, it illustrates that, unfortunately, the Supreme Court remains detached from the nation,” he added. The army exemption for yeshiva students dates back to the first days of the state of Israel. For decades, the majority of men in the hareidi-religious community have chosen yeshiva studies over military enlistment, and hareidi leaders have warned that even young men who would prefer to enlist will refuse to do so if they see yeshiva students sent to jail. The Supreme Court ruled on the matter following an appeal filed by several organizations calling to force hareidi men to enlist immediately. The ruling – an intermediate order pertaining to the appeal - states that the Education Ministry must not transfer money to yeshivas for students ages 18-20 who have not enlisted.